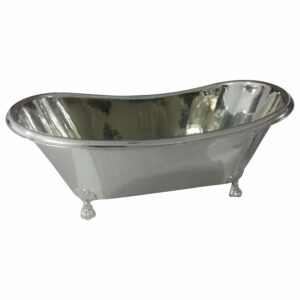 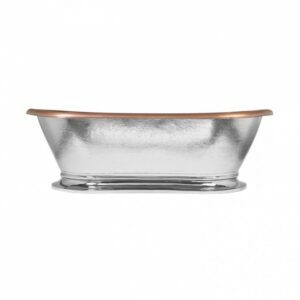 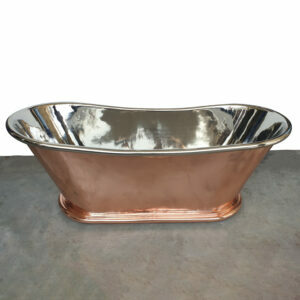 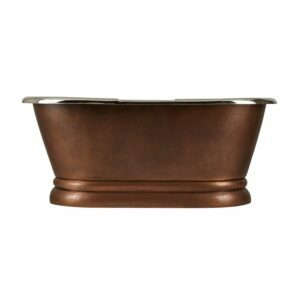 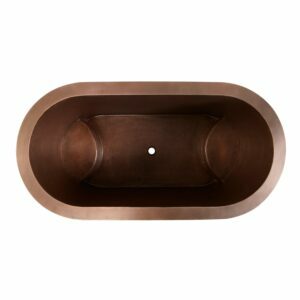 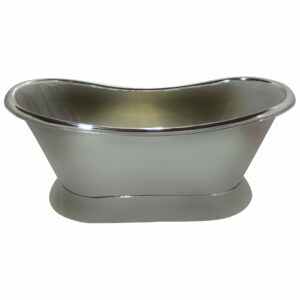 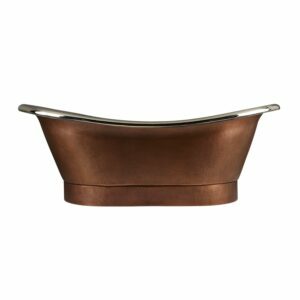 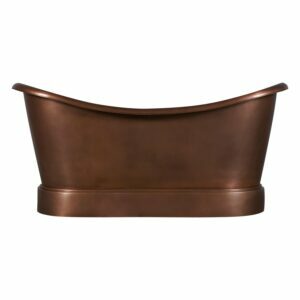 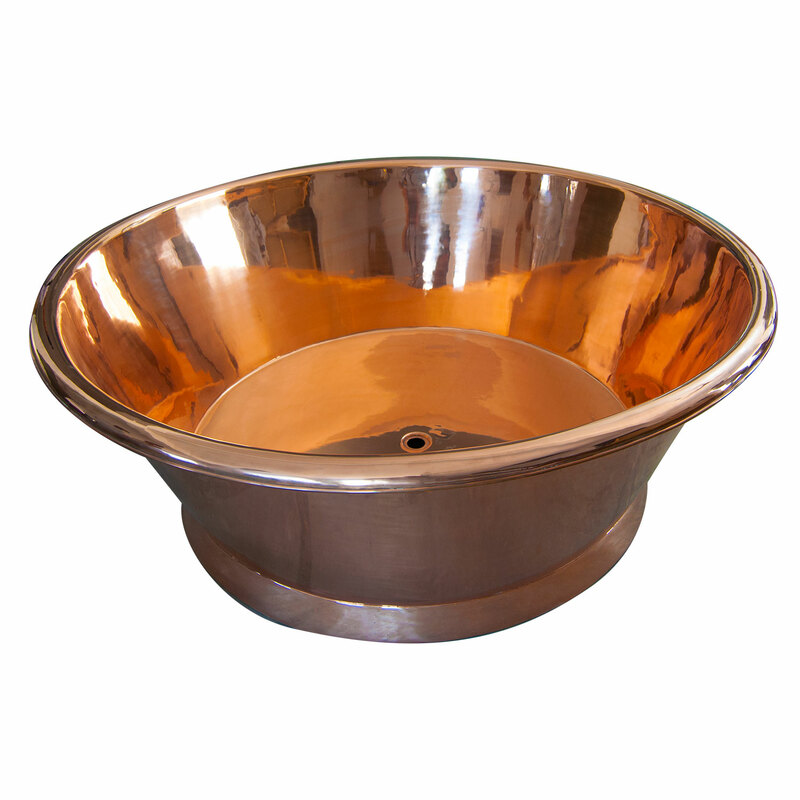 Large unique one-off round bath with a highly polished Copper Finish both inside and out, fully lacquered for easy maintenance. 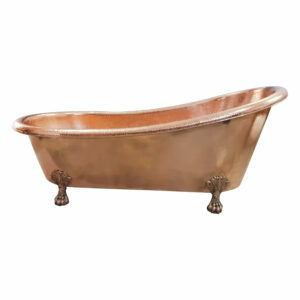 Each tub is crafted by hand from 16 gauge copper. 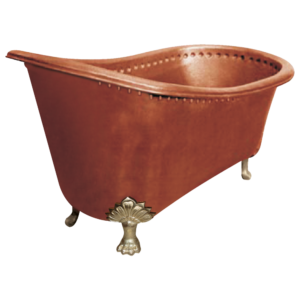 No two tubs are alike. 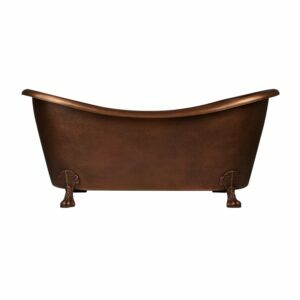 Read more about bathtub bed in the description down below. 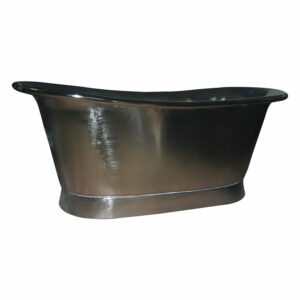 Most bathtubs require a mortar or wooden base for the tub to rest on. 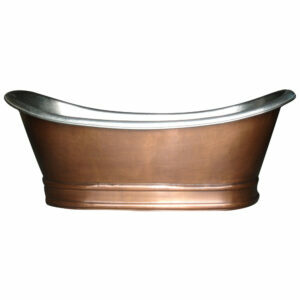 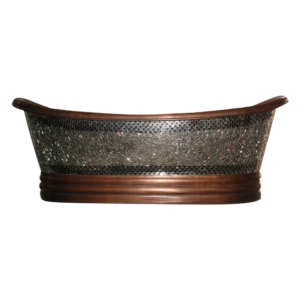 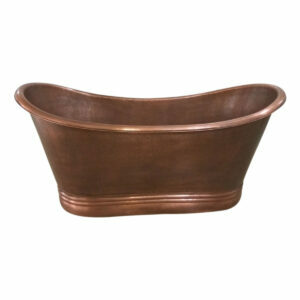 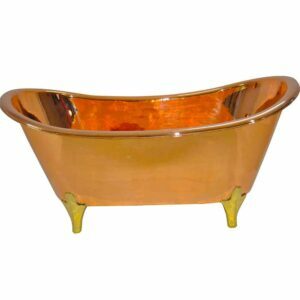 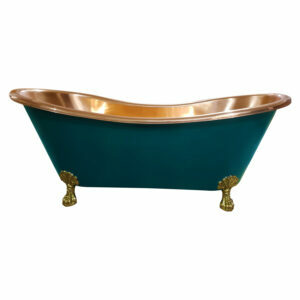 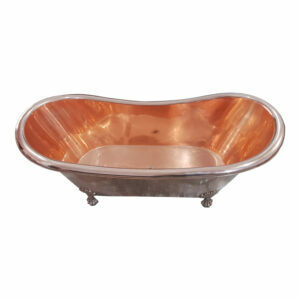 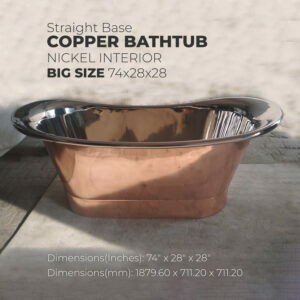 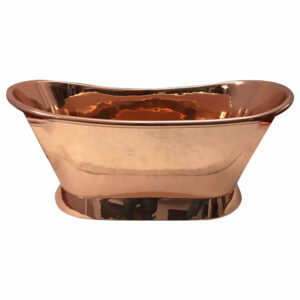 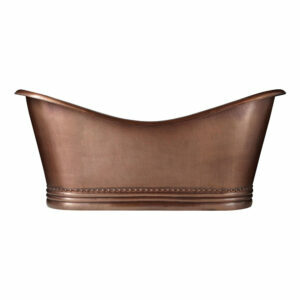 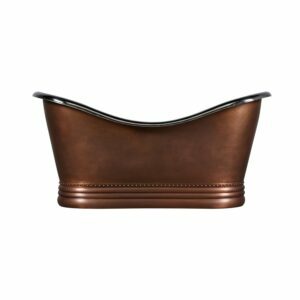 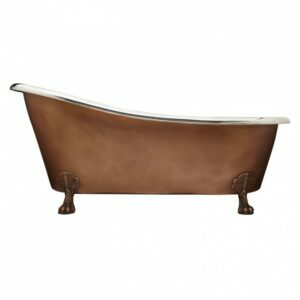 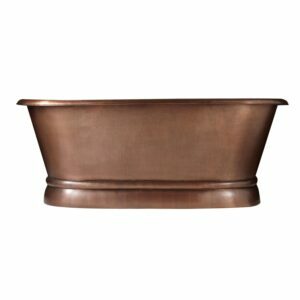 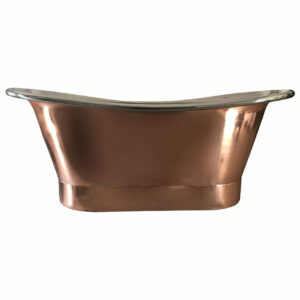 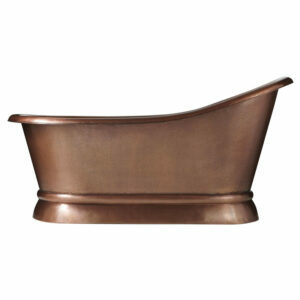 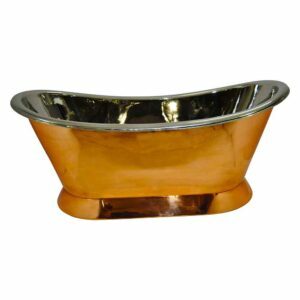 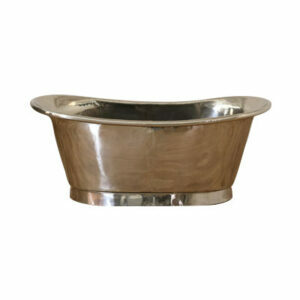 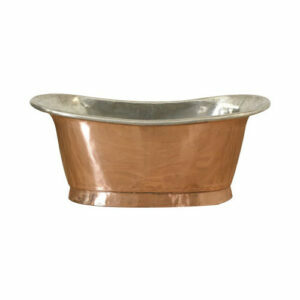 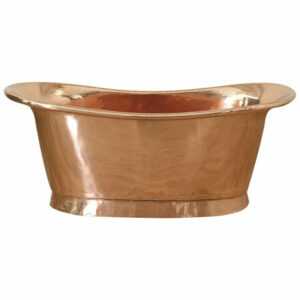 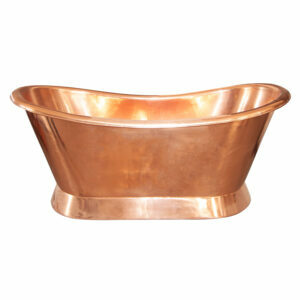 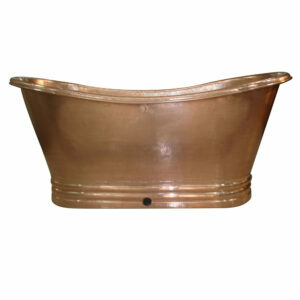 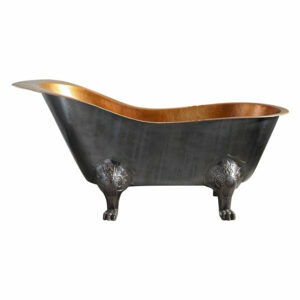 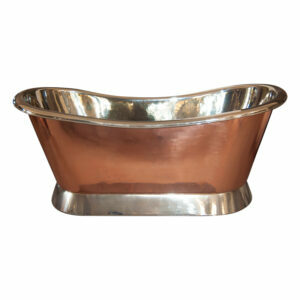 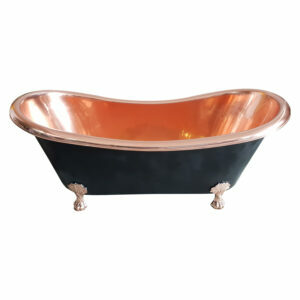 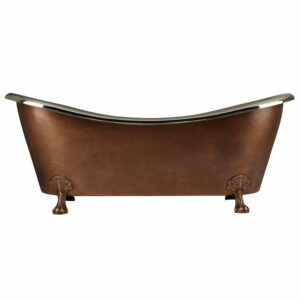 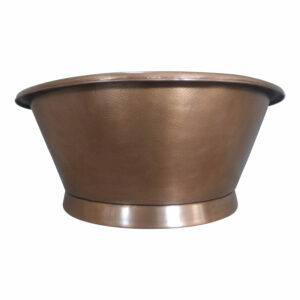 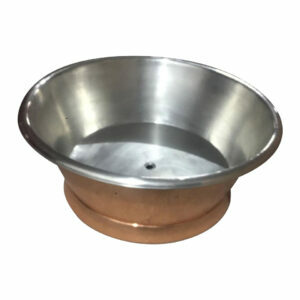 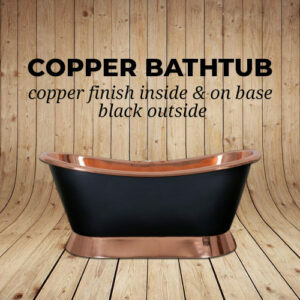 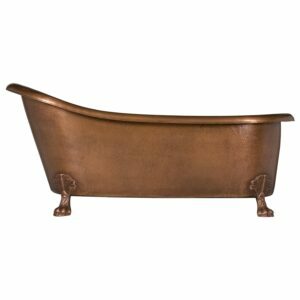 This round copper bathtub has a special requirement for the bathtub bed considering its big size. 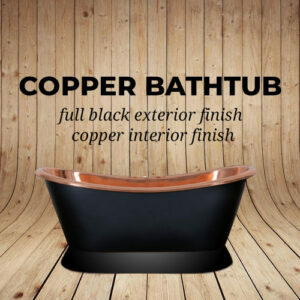 The wooden or mortar bed is created during the installation of the bathtub and is contoured to the bottom of the tub to support the weight of human bodies plus water. 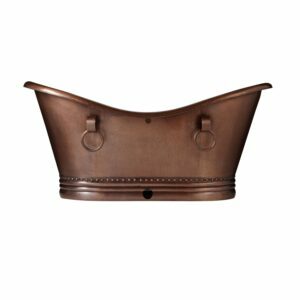 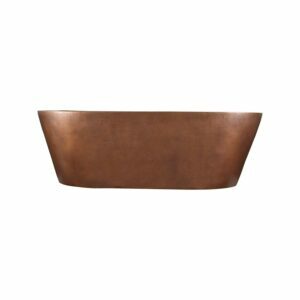 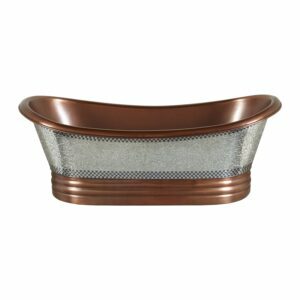 Since our round copper bathtub has a big size which can accommodate three to four adults, this means that the weight on the base of the bathtub which includes the weight of human bodies plus the weight of water can be huge. 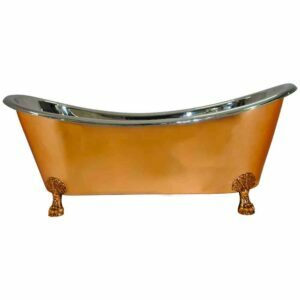 Hence we recommend installing this bathtub on a bathtub bed as depicted via pictorial explanation down below. 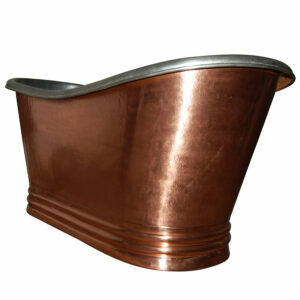 You can use either wood or mortar to build a bathtub bed. 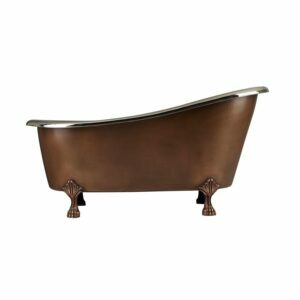 The maximum weight that the base of the bathtub can withstand with bathtub bed is up to 350 kg which includes the weight of bodies and water in the tub. 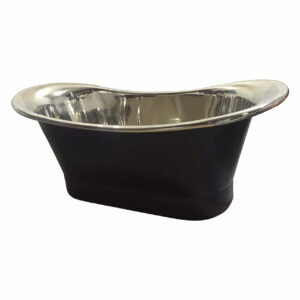 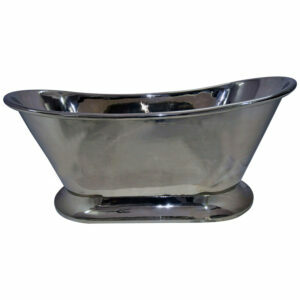 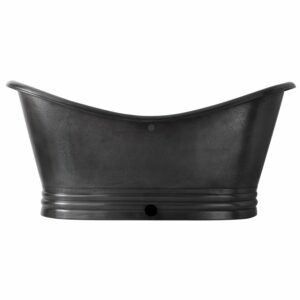 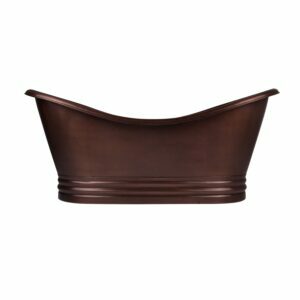 If you do not use this bathtub bed/support we will not be responsible for any damage due to excess weight. 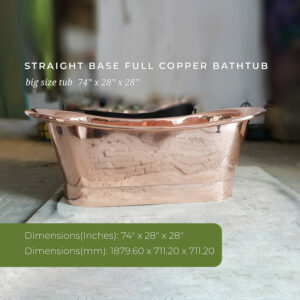 Also, the height of the bed/support should be equal to the height of the base of the bath so that there is no gap in between the base of the bath and the bed support.